This post continues the earlier Art Deco tour of Kinshasa. Click on the link below for the previous post. (22). Bralima. 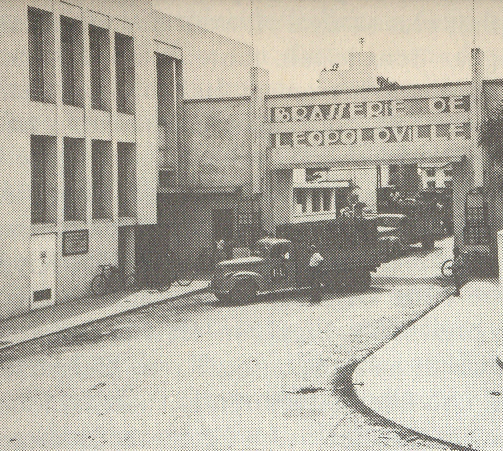 From Avenue du Commerce, continue down Ave. Kabasele (Ave. Olsen) through Ndolo in Barumbu Commune, passing the Bralima Brewery, whose Art Deco entrance was demolished in the 2000s. (23). 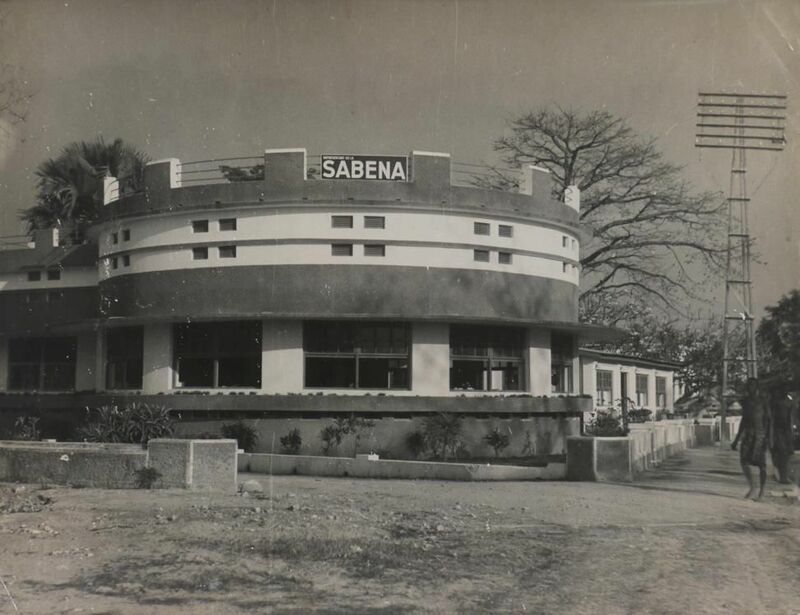 Sabena Guest House. 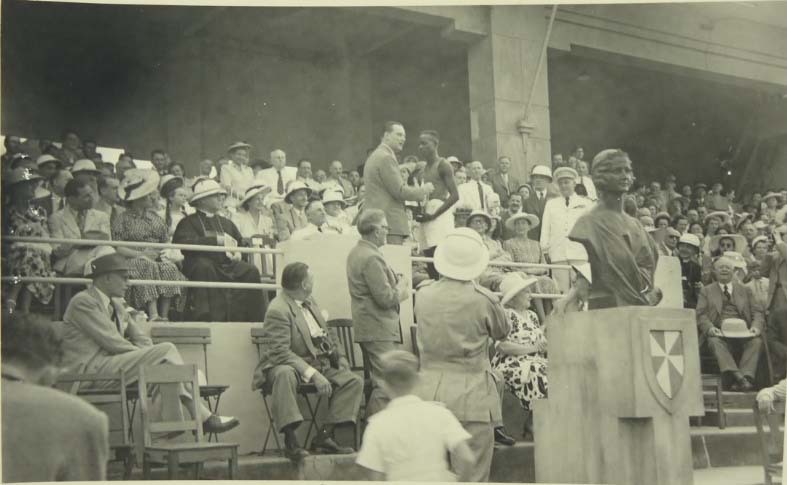 Just after the elevated railroad bridge, on the left is the former Sabena Guest house, now the Socogitel Guest House. The owner is currently refurbishing the property in the original style. 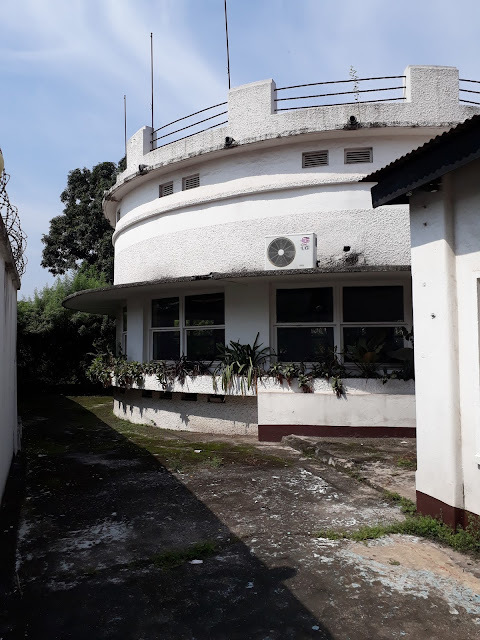 The original Sabena Guest House was built in 1937 to provide lodging for flight crews making the four-day flight from Belgium (Mar. 29, 2011). Passengers, as well, were put up for the night prior to connecting to domestic flights to interior destinations. The restaurant with the original tables. (24). 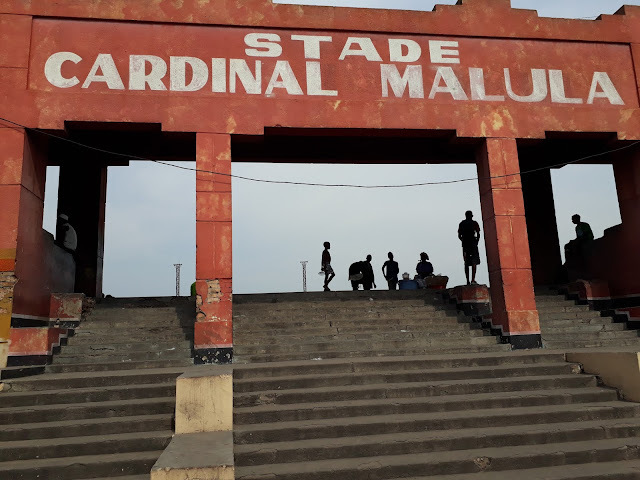 Stade Malula (Stade Reine Astrid). Continue down Ave. Kabasele Tshamala towards Ndolo Airport. Turn right onto Ave Kabambare. At the intersection of Ave. Kasavubu (Ave. Prince Baudouin) the Catholic Church built Stade Reine Astrid in 1937 (Feb. 6, 2011). This was the main sports venue in the capital until Stade Baudouin (Stade Tata Raphael) was built in 1952. 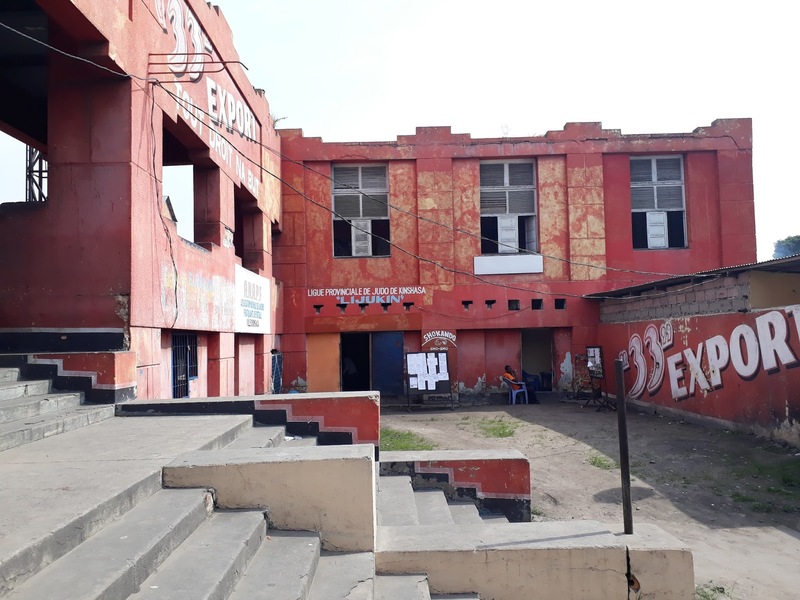 The Stadium from the street.